Niche markets for foods that meet particular consumer preferences – fair trade coffee, say, or organic chocolate – can command substantial price premiums over the mainstream market rate. But to tap these lucrative markets, products typically need to prove that they meet consumers’ exacting requirements. An array of voluntary standards now responds to a growing range of consumer concerns. But getting certified for even one of these standards can be expensive and time consuming – making it particularly tough for small and medium-sized enterprises (SMEs) in developing countries to realize the resulting income gains. The global halal food market, valued at US$1.29 trillion, presents opportunities to would-be exporters in developing and least developed countries. In many markets, however, seizing these opportunities requires products to be certified and labeled as halal. And even in predominantly Muslim countries like Morocco, where production processes are generally in line with halal requirements, getting such certification can be a complex and expensive process, especially for SMEs. An additional complication for businesses is that there is no single international standard for assuring halal integrity. Regulatory frameworks in the halal sector vary from one country and region to another. That said, some are accepted in multiple markets. Malaysia’s halal standard – the Southeast Asian country is one of the world’s biggest markets for food formally certified as halal – is an emerging global benchmark. Governed by the Department of Islamic Development Malaysia (JAKIM), the standard, MS1500:2009, has formed the basis for standards in other jurisdictions. Morocco’s standards organization, the Institut Marocain de Normalisation (IMANOR), established a halal certification standard and label in 2012. Since early 2014, ITC has collaborated closely with Morocco’s Ministry of Foreign Trade and IMANOR to support the country’s ambition to become an important player in global halal food production and trade. The work has proceeded on multiple tracks: (i) building awareness among both SMEs and national institutions about global market potential and how to meet different standards; (ii) institutional capacity building for auditing and certification; (iii) facilitating cooperation with halal authorities elsewhere, notably work to get JAKIM to recognize IMANOR’s halal standard; and (iv) linking SMEs to potential markets, including, for example, backing them to participate in the Malaysia International Halal Showcase (MIHAS), the halal food industry’s most important annual trade fair. In parallel to this work, ITC worked to shed light on the growing landscape of halal standards and certification procedures by developing a halal-focused version of ITC’s Standards Map online tool, which helps farmers, brands, retailers, and consumers understand the myriad of voluntary standards on the market. Halal Standards Map, as the tool will be called, will help suppliers navigate the growing maze of halal standards, identify appropriate audit systems and institutions, and self-assess their compliance against standards that interest them. ITC’s work with SMEs has also stimulated market adaptation and improvement in terms of product quality, packaging and aspects related to marketing and branding of the products. In January 2015, JAKIM, Malaysia’s halal authority, recognized ‘Halal Maroc,’ IMANOR’s halal certification as equivalent to its own. Not only has this mutual recognition opened up new market possibilities for Moroccan SMEs in Malaysia, it also creates opportunities in markets that use the Malaysian standard as a benchmark. The Moroccan private sector has responded to the change: since January, there has been a three-fold increase in the number of Moroccan companies seeking halal certification from IMANOR. The agency has doubled its halal certification activities; close to 70 companies have received ‘Halal Maroc’ certification for more than 200 products ranging from meat and dairy products, to fish, vegetable oils, confectionery and beverages. This upward trend is expected to continue, driven by supportive government policy and greater awareness by Moroccan companies of the potential offered by the world halal market. This includes North Africa, the Middle East, and Asia, but also the substantial Muslim communities in Europe, Australia and the Americas. 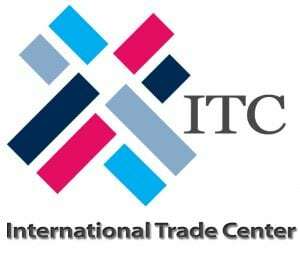 Business linkages built during an ITC-organized study tour to Malaysia and its halal trade fair in April 2014 have yielded considerable dividends. For example, the Moroccan Exporters Association (ASMEX) signed a cooperation agreement with SME Malaysia, a private sector federation. Private sector representatives in both countries have cemented two-way trade and investment ties, underscored by the visit to Morocco of a large Malaysian business delegation. In addition, several of the Moroccan companies went back to MIHAS in 2015 without ITC support. Malaysia’s recognition of the ‘Halal Maroc’ standard made a tangible difference to Moroccan SMEs’ business prospects in Malaysia. For Bouchra El Aychi, a quality handling systems manager for Koutoubia Holding, a leading Moroccan poultry company, recognition for the ‘Halal Maroc’ standard had already been growing in markets such as Kuwait and Saudi Arabia where halal-labeled products are mandatory. Such recognition ‘has significantly intensified and expanded to other interesting markets for our business after IMANOR has been recognized by JAKIM,’ she said. Meanwhile, the Halal Standards Map online tool was launched last October at ITC’s World Export Development Forum. IMANOR’s halal standards were the first to be entered in this new ITC database. Morocco is seeking to become a regional hub and a trade bridge between Europe and Africa for halal products. ITC is supporting the Moroccan government in designing a national level strategy to develop the halal sector. ‘The Kingdom is determined to reinforce the presence of its halal products internationally with support of national and international institutions such as the International Trade Centre,’ said Mohamed Abbou, Morocco’s Minister of Foreign Trade, at the December 2015 edition of IMANOR’s annual Halal Forum in Casablanca. The 2016 Halal Forum, an event that ITC helped Morocco set up, will scale up to the regional level, bringing together participants from neighboring countries. ITC will continue to work with SMEs in different parts of Morocco to develop halal products and enter the global market.